2017 Output: 84.3 mln packs. Awards and Achievements LEKKO CJSC is a Russian innovative company, specialized in R&D, manufacturing and promotion of highly efficient medicinal products. Its expertise is drug manufacturing, proved by its over 20 year old success story in the market. Capacity: 91 mln packs per year. Total area: 6.64 thd. sqm. 1998 – Majored in TPP Engineering by the Far Eastern State Technical University. 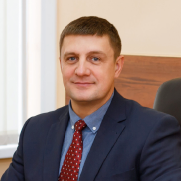 2010-2018 - was General Director of PHS-Tomskhimpharm JSC. 2013 – Obtained the MBA degree of the Tomsk Research and Development University. 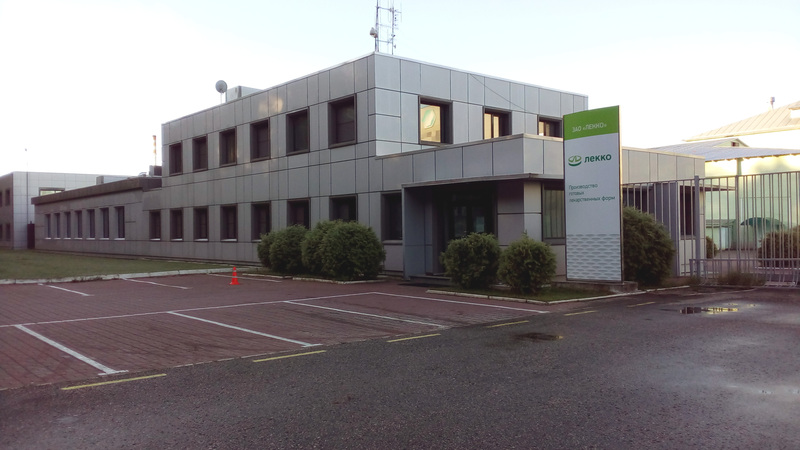 LEKKO pharmaceutical company launched its operations with probiotics in the premises of one of the Pskov Biologics Factory’s manufacturing buildings back in 1993. Subsequently, the product range has been significantly expanded with nasal and eye drops, anti-inflammatories and antibiotics. 2005 Reconstructed and upgraded the manufacturing facilities; put in commission a new production area for solid dosage forms. 2006 Started arrangements for manufacturing of genetically engineered products. 2008 Completed clinical trials and obtained registration ; started manufacturing of the first genetically engineered product, TB diagnostic test — Diaskintest®. 2010 Upgraded its antibiotic production line. 2013 Obtained GMP and GOST ISO 9001-2011 (ISO 9001:2008) Certificates of Conformity. Renewed Drug Manufacturing License; reconstructed workshop No. 3 resulting in doubled Acipol output. 2015 Put in commission a PW generation, storage and distribution system (capacity — 1,500 l/h). Reconstructed the kefir fungi production area; obtained reconfirmation of GMP and GOST ISO 9001-2011 (ISO 9001:2008) Certificates of Conformity. Renewed Drug Manufacturing License. 2016 Arranged a New Technologies Department; put in commission a soft dosage form workshop- and a PW generation, storage and distribution system (capacity — 2,000 l/h). •	GOST ISO 9001-2015 (ISO 9001:2015) Certificate of Conformity; Drug Manufacturing License.